Office 365 ProPlus deployments by default are configured to automatically update. This can be a good or bad thing depending on how you look at it. Good, because you are always current and up to date on the latest fixes and security updates from Microsoft. But bad for organizations that have an enterprise patching process that has testing and validation for patches and updates. These types of organizations need to have control to establish compatibility and support across many platforms. There are several ways to manage updates in Office 365. During the deployment of Office 365 ProPlus you can configure the update settings the office deployment tool which modifies the XML file that is by the install process or you can simply skip that step and manage everything through Group Policy. In this post I will discuss how to use Group Policy to manage updates for your Office 365 deployments. Enable Automatic Updates – allows you to disable Office 365 from automatically updating. Be careful when using this option as you could miss out on security updates. Update Path – This setting controls the source of where the Office 365ProPlus installs get their updates from. If this setting is not configured or left blank it will default to Microsoft’s CDN. If you have an internal source, such as network share, then you would include the path here. Using Group Policy allows some flexible like applying patching sources for different groups of users, such as pilot users and production users. It also doesn’t require manual changes on each system and can make a change across multiple devices with 1 policy. Group Policy is useful when there are many deployment methods across your organizations but you want to manage the application without adding cumbersome deployment steps. If you decide to make a change later, update the Group Policy setting by using the Group Policy Management Console. The updated policy settings are automatically applied to Office 365 ProPlus, through the normal Group Policy update process. Dynamic Distribution groups are Distribution groups that dynamically add members into the group based on a certain set of filters and conditions, when an email is sent to the group. These are great for mass mailing a group of users that change can often and managing the group manually would be difficult to maintain. 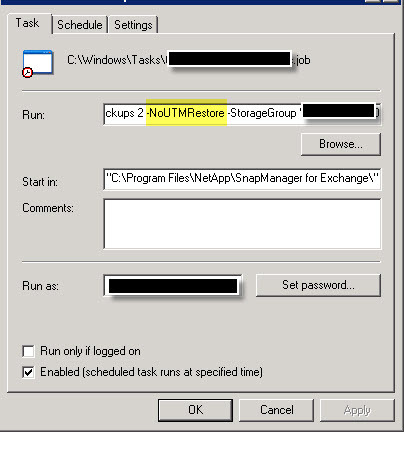 Exchange offers 2 ways of creating these groups; you can use the EMC/ EAC or PowerShell. I have found that the majority of cases for Dynamic Distribution can be created using the EMC/EAC, which offers the following set of pre-canned filters and conditional. There are times that this pre-canned list just doesn’t fit the bill. Let’s say you need a Dynamic Group that filters on users from a certain country or even a particular job title? PowerShell to the rescue! PowerShell offers the pre-canned filters as well as any of the account attributes that a user account would have, giving you a lot more freedom to create some customized Dynamic Distribution Group. Please note that you cannot combine pre-canned conditional filters and custom Recipient Filters in the same query. Note that when creating your Dynamic Distribution Group using PowerShell you cannot combine pre-canned conditional filters and custom Recipient Filters. A list of all the available filterable properties parameters can be found on TechNet’s site. When this particular scenario was first noticed , it puzzled us because the DC in question was still running and Exchange was able to discover it. We did all the typical AD and exchange troubleshooting steps, checked permissions, AD replication, etc., but none these steps fixed the issue, the tech was still not able to create accounts. After some more digging around we later found out some FSMO roles were removed from that DC. Aha! A major change to the DC. Common error messages may contain “Active Directory operation failed on Dcxxxx” or “ LDAP server was unavailable”. When the problem occurs you are not able to perform certain actions in the EMC, such as creating accounts, mailbox moves, basically any operation that requires contact with the DC. 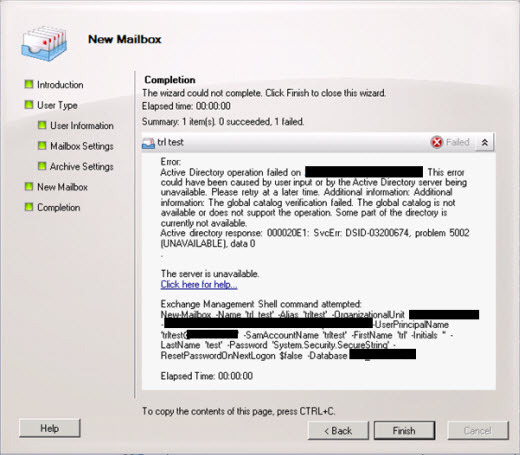 The problem is a result of the Exchange Management Console caching the domain controller details in the MMC temp files. It caches the data but it’s not smart enough to update the data or locate another DC. To fix the issue you have to remove the MMC cache file from the users profile. 2. Go to the User’s profile directory and delete the Exchange Management Console file. As most of you know, I have started writing for Petri.co.il IT knowledgebase. Check out some of the articles and tell me what you think. 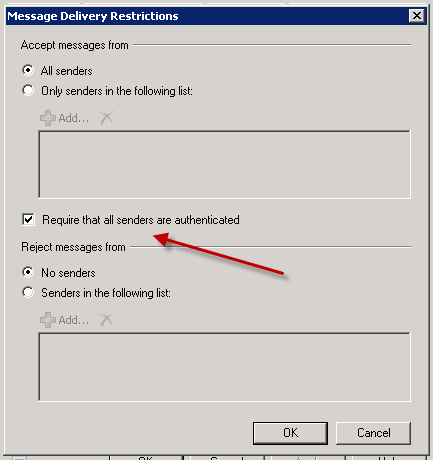 I often hear from users that they don’t like to use Outlook Web App for email because they can’t see shared calendars. I then inform the user that things have changed since the days of Exchange 2003. A nice added feature of Outlook Web App 2010( Outlook Web Access) is that you can use the Change Sharing Permissions within Outlook Web App to view the people you’ve shared your calendar with and the permissions they have. This also gives you the ability to stop sharing your calendar. Now you can’t use Outlook Web App to give someone else permission to change your calendar, but you can use the Delegate Access feature in Outlook to give other people in your organization permission to make changes to your calendar and to respond to meeting requests on your behalf. In Outlook Web App, click Calendar in the Navigation Pane. Click Share on the Calendar toolbar. Click Change Sharing Permissions and then, in the Calendar dialog box, select the name of the calendar that you want to change sharing permissions for. Click the name of the person whose permissions you want to change. Click Edit and select the permissions you want. Click Change Sharing Permissions and then, in the Calendar dialog box, select the name of the calendar that you want to stop sharing. Click the name of the person you want to stop sharing your calendar with to select it, and then click . Click Yes to confirm that you want to delete that person from the list, or click No to cancel. So there you have it. Next time a user says they don’t like to use OWA because they can’t manage or see shared calendars you can let them know that’s not the case anymore.